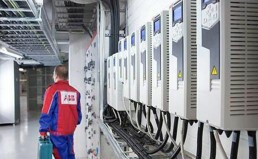 There are many industrial situations where the supply of a new variable speed drive isn’t always the easiest and best solution. There can be hidden costs in replacing obsolete equipment with new. Beta Power Engineering is a premier drive service provider offering industrial repairs for all makes and models of AC and DC drives and motor controls. We can accommodate planned preventative maintenance repairs/overhauls as well as offering 24/7 round the clock service to cover your breakdown requirements. Our repair process utilises the latest test equipment to diagnose the problem and highlight the defective part. 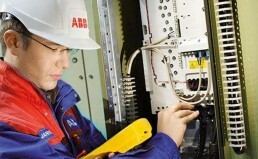 Being an Authorized ABB drives partner we have access to the full range of ABB genuine spares. Rather than just offering a basic repair, we offer a complete refurbishment service. We prefer to be pro-active and look to replace components that may be defective due to age or environmental exposure therefore allowing us to guarantee our repairs will keep your processes running. Please contact us 24/7 on 0161 432 9995 or email sales@beta-power.co.uk to learn more about our drive repair capabilities.